In the deep midwinter the average temperatures on the coast should still be hovering around the 13°C mark, though on sunny days it can be warm enough in the sun to walk around in a tee-shirt. It is cooler at night and much cooler in the higher mountains. Skiers will be hoping for some serious snowfalls on the slopes at Piano Battaglia and on Mount Etna. The citrus harvests are continuing apace. The days are starting to get warmer, although conditions in the mountains are still very wintery. Skiing, snowshoeing and horse trekking on the snow are unforgettable experiences. The almond trees are in blossom and are at their finest in Agrigento at the Valley of the Temples. 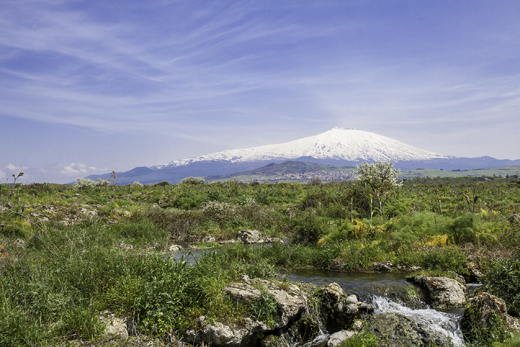 At 3,323 metres, Mount Etna is not only a truly serious mountain but also the highest active volcano in Europe. It has captivated visitors for millennia and caused poets throughout the centuries to rush for their pens. 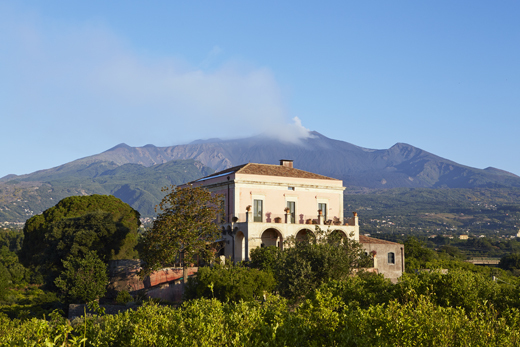 Staying in a villa on its flanks or in nearby Taormina is a wonderful experience... And if you're looking for a winter holiday with a difference, why not come skiing on Mount Etna? On the coast the winter is truly over, with wild flowers starting in abundance, the days lengthening and the average temperatures making warm clothes decidedly uncomfortable. Inland the farmers start preparing the land, tending the vines and planting the grain. The south-eastern tip of Sicily is home to mile after mile of largely unspoilt sandy beaches, such as those at Vendicari Nature Reserve, and some of the island’s most impressive towns. 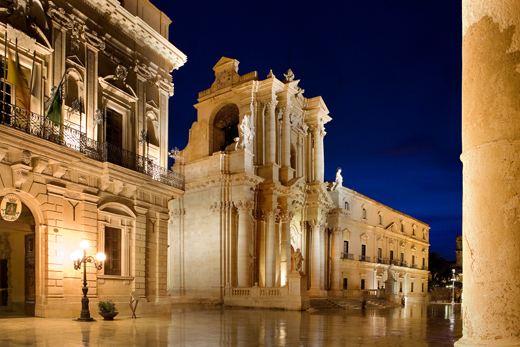 Syracuse, once the most powerful metropolis in Magna Graecia, has retained its ability to awe, while the towns of the Noto Valley, comprising Noto, Ragusa, Modica, Scicli and Caltagirone, are of immense architectural importance, shining examples of Baroque extravagance and Rococo invention. 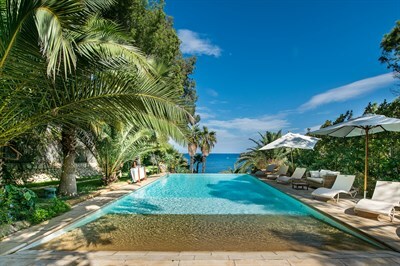 Our villas in the area offer similar delights! The wild flowers begin to truly explode all over Sicily and on the coast the first bathers start taking to the beaches (though the water is still bracing). The interior is now warming up fast and the array of colours is spectacular. It’s well worth making a trip just to experience the Easter processions, bringing together folklore and tradition in an incredibly mystic way. Stepping westward, from Cefalu and Palermo, Sicily’s mountainous hinterland mellows into the large fertile plain of Val di Mazara, which is carpeted with vineyards and olive groves. 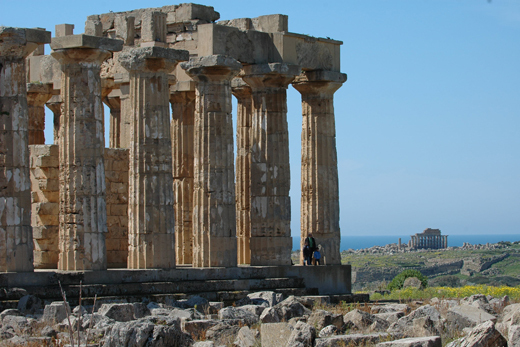 The western point of the island’s triangle is dotted with fascinating towns such as Erice, Trapani , Marsala and Sciacca, some of the best preserved Greek temples to be found anywhere in the Mediterranean, including Segesta and Selinunte, glorious sandy beaches and a history that reads like a script from the most eventful of soap operas! The interior is spectacular, with the mountain slopes exploding in colour and the temperatures ideal for walking. The temperatures on the coast and in the islands will now be extremely comfortable. If you’re lucky, you might get to witness the “mattanza” or tuna harvest in the fishing towns all over the western part Sicily. 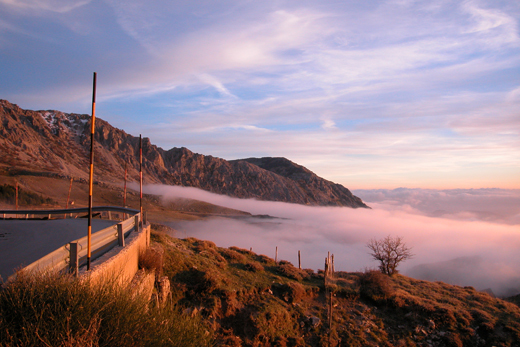 If you are looking for a slightly alternative Sicily, one that does not really exist in the popular imagination, the Madonie Mountains will offer a great deal for contemplation thanks to its stunning mountain landscapes, its welcoming people and their way of life that has relatively little in common with that of coastal city-dwelling Sicilians. 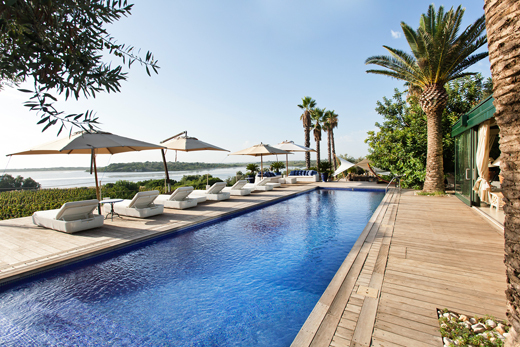 Book one of our wonderful villas in this area and relaxation will be guaranteed! The first smells of summer waft through the island as the strong colours on the coast and the lower plains succumb to the bleaching rays of the sun. This is probably the perfect time for walking in the higher Madonie and Nebrodi mountains. The temperatures everywhere are generally agreeable, though the Scirocco wind can send them soaring for a few days. 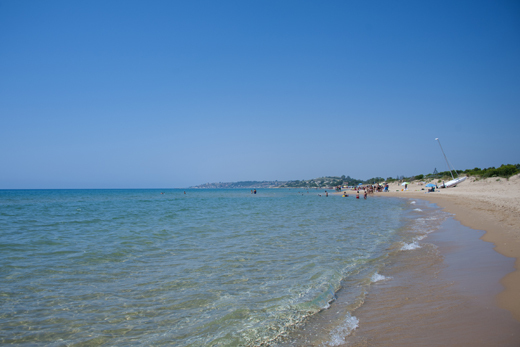 The sea is warm but the beaches are still deserted, except at weekends when the first Sicilians start to brave the waters. The fruit trees are laden with cherries, plums and the local speciality "gelsi"
With its pretty old town centre, its breathtaking vistas of Mount Etna and the Ionian coastline, its Graeco-Roman theatre and its beach-bound cable car, Taormina has long been Sicily’s favourite holiday destination, attracting both mere mortals and luminaries for several centuries. 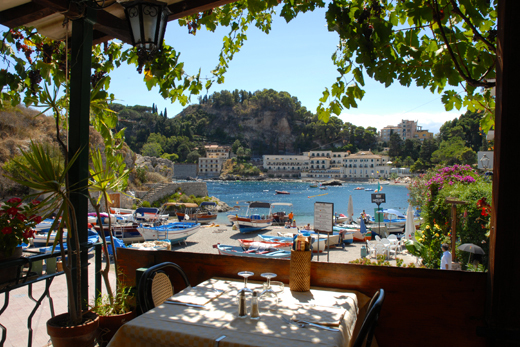 Visitors to Taormina tend to while away their time sitting in one of the town’s many panoramic cafés or restaurants admiring a view that has few rivals. Our selection of villas in and around Taormina has something for everyone! 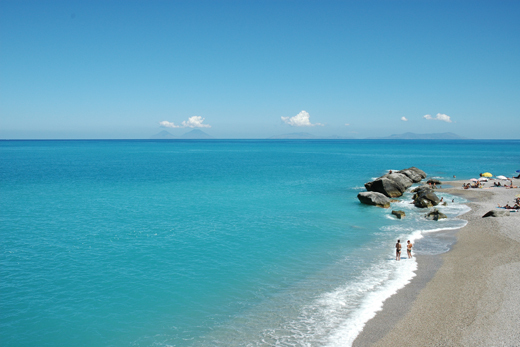 The sea becomes the focus for most Sicilians (and visitors) and the major resorts testify to the glorious temperatures and sea conditions. Do not shy from the interior though, where the walking is wonderful and the upper slopes cool and still luxuriantly green. Peaches and watermelon are in season. The villas in our seafront collection either have direct access to the sea or are within a few minutes walk of a beach or rocky cove. The sometimes stifling heat of the cities and the general holiday feel pushes almost everyone to the coast, which are almost invariably crowded. The beautiful areas of the interior (and a few “undiscovered” parts of the coast) are however relatively unfrequented. Towards the end of the month begins the spectacle of the salt harvest in the salt pans around Trapani and the grape harvest or “vendemmia” all over the islands. The fig trees are laden with their welcoming fruit. 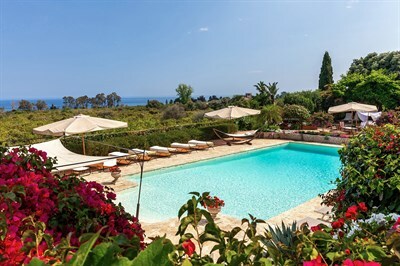 Here are some of the villas we consider to be best suited for a family villa holiday with children in Sicily. Several members of the The Thinking Traveller team have young children of their own... and the rest are young at heart! The vendemmia continues in earnest and all hands move to the fields. The summer is often interrupted by coastal storms, which can be accompanied by high winds. Temperatures remain very comfortable everywhere, and the coast and islands retain that summer feeling, but without the crowds. The olive harvest is also well under way. Hazelnuts are plentiful and many small villages celebrate their arrival with traditional "feste". Unique beauty, fascinating geophysical characteristics (two of the islands are active volcanoes! ), a wealth of history, myriad Greek myths and legends, wonderful sea-swimming, great beaches, stunning views, mountain and coastal walking galore, mouthwatering cuisine and luscious sweet dessert wines.......... Despite all this, the Aeolian Islands remain fairly unknown out of Italy and surprisingly unspoiled outside the peak weeks of August. The Thinking Traveller boasts the very best in Aeolian villas on several islands, including Filicudi, Panarea, Salina and Vulcano! Whilst the wine is being made, the abandoned vines turn to reds and oranges giving the vast areas of vineyards a spectacular range of hues and making this one of the most beautiful periods for country walking. Seasonal rainfalls help develop an astonishing variety of mushrooms. The prickly pears are at their best. All these villas are near Menfi in the increasingly fashionable coast between Castelvetrano and Agrigento. Featuring long sandy beaches and the superb archaeological sites of Selinunte and Agrigento, this is becoming one of the most sought after areas of Sicily. Autumn is well and truly here, though the temperatures can stay in the mid to high twenties during the day to produce a surprisingly balmy Sicilian “Indian Summer”. This is generally the month with the highest rainfall, though the big storms that often sweep the Italian peninsula generally pass safely to the north of Sicily. The orange and mandarin season is starting. 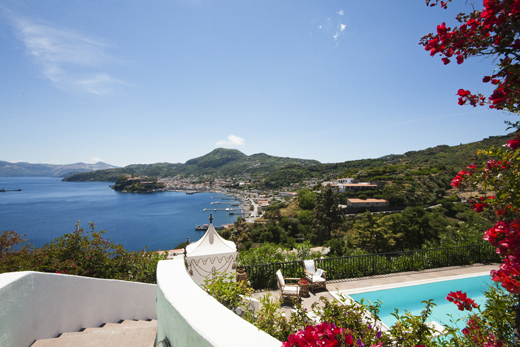 "The best villa in Sicily... There is an embarrassment of beauty at Don Arcangelo all’Olmo...” Condé Nast Traveller. One can still have extremely agreeable temperatures during the days, though the sunlight hours are clearly at their lowest of the year. Still, Christmas is an important festival here and many small towns light up the night with their traditional processions.. While most of the villas in our portfolio lend themselves to all-year-round rentals, we thought we'd come up with a list of houses that are particularly suitable for autumn, winter, Christmas and New Year. The weather between November and March can often be clement and sunny, but each of the villas in this list have a cosy quality allied to good heating systems and plenty of indoor space just in case! Of course, if there are any villas you have fallen in love with for a winter break that aren't on the list, let us know and we'll be happy to discuss them with you!